People living in neighborhoods with low gun ownership like DC, compared to people living in high gun ownership areas like North Dakota, are 9 times more likely to have their car stolen (1,449 vs. 151), 100 times more likely to be robbed (1,107 vs. 11), twice as likely to be raped (43.7 vs. 23.4), 350 times more likely to be murdered (70 vs. 0.2), 9 times more likely to be assaulted (1,442 vs. 166), and 5 times more likely to be burglarized (1,761 vs. 325). The War in Iraq should have been the War Against American Blacks. The first benefit is that we wouldn't have lost 2,000 soldiers in Iraq. The second benefit is that an effective war against blacks would have immediately prevented the 5,000 Whites who're currently murdered by blacks EVERY YEAR from being murdered. The third benefit is that it would have been far cheaper to separate the races as God's Plan requires than it was to attack 12 year old Iraqi girls with cluster bombs. The fourth benefit is that this president might not now be facing impeachment for LYING about Iraq when he could have been the eternal American hero for telling this above TRUTH about blacks. The fifth and least important benefit is that these murderous blacks would have been given their own country where they can be free of discrimination by Whites, have the ability to develop their own skills and culture without the adverse effects of misplaced White "compassion" [which is very seriously misguided], and focus on their own heritage without having to hear about ours. Fifty three percent of all homicides committed by 1.2% of population, officially. Blacks are why four cities in the US hold the record as The Murder Capitol Of The World. Blacks are KNOWN by the FBI to murder 24 Whites every week, officially. If blacks are not under-represented in the uncleared murders, they officially murder 48 Whites every week. Officially, the murderers of 4,000 Whites every year are never caught, much less identified. Young black men are officially 380 TIMES more likely than adult White women [a category including Hispanic women] to be murderers, and officially 172 times more likely to be murdered. Proven by US government statistics. Ignored by the silent-as-a-lamb "news" media which roared like a lion about putative murderer Scott Peterson. Officially, took 200 times as many American lives in the 20th Century as 911, Osama bin Ladin, Saddam Hussein, and the War in Iraq, combined. If current trends continue, will officially take another 800 TIMES as many American lives in this century alone. Concealed who were the murderers of 4,395 Whites in ONE year alone, 1993. Blacks in DC = 90. Black men 18-24 years old = 380. Paul Craig Robbins: Harvard hates Whites. While Rome burns, the justice system fiddles. Why do blacks really love to kill honkeys. We should add that according to the Word of God, as well as to most state laws until very recently, most "Hispanics", because they have more Black blood than Spanish blood (who themselves already had Black blood), are considered "Black". Not too long ago, George Zimmerman would have been considered "Black", so his "crime" was just yet one more Black on Black crime. So the 16 murders PER DAY committed by Hispanics are in reality Black on Black crimes [at least in the Eye of our God, the God of Abraham, Isaac, and Jacob]. Black crime in America is real, it's present, it's ongoing, it's pervasive--and it would be far easier to correct than any wars on Muslim Terrorists, poverty, drugs, or illiteracy. So why is it not corrected? Why do we instead go to war against 1.2 billion Muslims in the world, when we didn't lift a finger to protect the 50 million WHITE Christians in Russia from American grown jewish Bolshevists from East Side New York? Why do we continue to imprison 6% of black men in the US for trivial crimes, and possibly crimes they didn't even commit, while NOT imprisoning the black murderers who may now exceed 270,000 JUST since 1965. For the last two decades, the affirmative action hirees in our justice system have FAILED to even find much less prosecute forty percent of all these murderers, leaving more than a quarter of a million murderers free to murder again--and again. Whites, who commit less than 5% of these murders and possibly only 1%, represent 30% of our prison population, so it's not White murderers who aren't being investigated, prosecuted, and imprisoned--it's black murderers. Of the 25,869 homicides in the US in 1993 reported by the National Center for Health Statistics, only 16,297 were ever resolved, leaving 9,572 murderers or 37% of them, Scot free, to murder again, and again. We have 3.7 unresolved homicides per 100,000 population, more unresolved murders per capita alone than most industrialized nations have total murders per capita. What's the plan here? 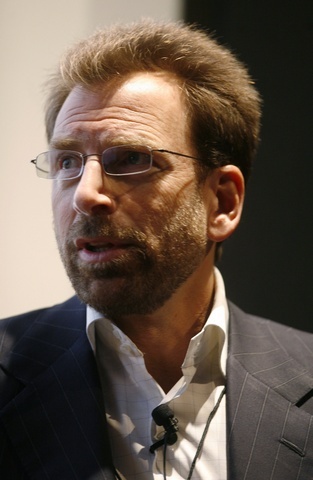 What better way to create resentment by Blacks against Whites than to falsely imprison Blacks who didn't commit serious crimes, not imprison the majority of Black murderers, include as "whites" those crimes committed by Hispanics, and imprison Whites at a rate which greatly over-represents their tendency to commit violent crimes, using "hate crimes" legislation as a convenient excuse? 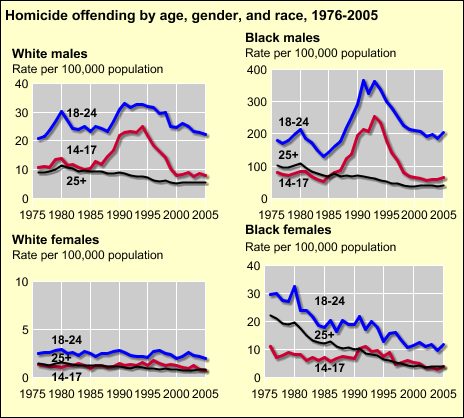 Why does the US continue to have the lowest rate of clearance of homicides in the Western world, leaving so many Black murderers free to murder fellow blacks and Whites at unprecedented levels, again, and again, and again? Murders committed by Hispanics are included in the category for Whites. 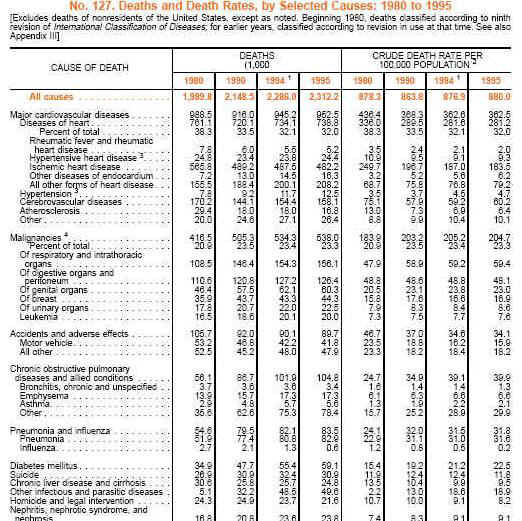 This table accounts for only 58% of the homicides in 1993 because it is only the murders which were "cleared". More than 4,000 Whites who are murdered annually aren't listed on this table because their murderers are never caught. The rate at which murders by blacks remain unsolved may be higher than the national average because of the nature of black crime and the unwillingness of black witnesses to reveal information to the police. The large variation in the homicide rate from state to state is due almost exclusively to the higher proportion of blacks and Hispanics in some states coupled with their higher propensity to commit murder, particularly in black infested cities like Washington, DC, Detroit, New Orleans, and Gary, Indiana. People in states like North Dakota, Vermont, Iowa, and South Dakota are up to 1/100th as likely to be murdered as people in states like Louisiana, California, New York and Maryland and 1/355th as likely as people in Washington, DC. But the percentage of the population who are blacks and Hispanics in North Dakota is 1/33rd that of California and 1/58th that of Washington, DC. Every one of the states with a high percentage of blacks and Hispanics has a high murder rate, including California whose low percentage of blacks is made up for by its high percentage of Hispanics. The result is that Hispanics alone are a mortal risk to Californians which exceeds the risk of dying from tobacco smoke by three times. If the entire country had had a homicide rate equivalent to North Dakota's rate of 0.2 per 100,000 population in 1995, rather than 22,895 homicides that year, there would have been only 526 homicides, saving 22,369 American lives. Such a rate over the last half century would have saved more than 893,000 American lives, proving that multiculturalism has been an incredibly expensive proposition for Americans of all races. Perhaps it's a boon to blacks and Hispanics,though, who may have killed each other in even greater numbers if Whites hadn't been around to organize a just society for them. Had the homicide rate that year been equivalent to Maryland's, 8,672 more Americans would have died, and had it been equivalent to Washington's, 164,776 more Americans would have died. It's likely that Washington's rate would have been even higher had it not been for the 28% of the population there who are Whites. North Dakota is living proof that White Americans living free of multiculturalism and race mixing could have an even more stable society and productive economy than Norway or Japan. This low murder rate in 1995 was not a fluke, because North Dakota's rate has remained the same or even declined over the last two decades. This is not a new situation for states like Maine, Iowa, Montana, New Hampshire, and South Dakota, either, because they have consistently had the lowest murder rates. And they also haven't been bombarded with multiculturalism, miscegenation, and the influx of blacks and Hispanics like the high crime states have. These rates are also equivalent to countries like Singapore, the Slovak Republic, England, Wales, Cyprus and Japan, which also stand as living proof that low crime rates aren't a distant and impossible dream. Whites who have not been bombarded with miscegenation manage to keep their homicide rate lower than 0.5 per 100,000 population, whereas blacks who live in White societies commit as many as 120 homicides per 100,000 blacks and Hispanics commit 27 homicides per 100,000 Hispanics. See calculations. This is one of the most heinous examples of the chronic media bias faced by White Americans each day. This inexplicable and chronic propensity to cover up almost every crime perpetrated on, legal system bias against, justice system discrimination against, and to belittle every action by, the White Christian man must stop, now. The mainstream media openly supports "hate crime legislation" which would effectively benefit every American citizen except the White Christian man. It focuses on one crime committed by White American men against one black felon James Byrd for an entire year, while ignoring almost 2,500 black Americans who murder Whites every year. The rate at which black Americans murder Whites is 8.2 per 100,000 Blacks, a rate higher than the whole murder rate of all but a few countries, and more than 8 times higher than countries like the Czech Republic, Japan, Cyprus, England, Wales, the Slovak Republic, and Singapore. The likelihood that a White American will be murdered by just a Black American is 65 times greater than the likelihood that a citizen of Singapore will be murdered at all. Black men between the ages of 18-24 commit murder at a rate 175 greater than that of White and Hispanic women (and Hispanic women commit more than 85% of those murders). Between 1991 and 1994 they murdered at a rate of 380 per 100,000 population, but were murdered at a rate of "only" 175 per 100,000. The other half of their murder victims were mostly White men. If such a high murder rate were to be sustained over the next 75 years (the average life expectancy in the US), then more than a quarter of all blacks in the US would have murdered someone (not including multiple murders by one person). Table #24 of US Statistical Abstract estimates that there will be 384,000 more Black men age 18-24 in 2025 than in 1996, and history tells us that they alone will murder an EXTRA 1,344 Americans that one year alone. If only 10,000 of them were to move to North Dakota, they would increase North Dakota's murder rate 35 fold. Had the US homicide rate remained at its relatively low rate (but high compared to other nations) before the first of our 22,000 gun control laws was passed in 1965, there would have been 550,000 fewer homicides since then. The problem is not ownership of firearms by Whites--it is ownership of firearms by blacks who cannot be entrusted with that right--not in Africa, and not in the US. Created a requirement for 22,000 unconstitutional gun control laws. Undermined the spirit and intent of the Second Amendment. Assured that these gun control laws could not and would not work. Impaired the ability of all law-abiding citizens to defend themselves, contributing to a huge increase in crime. Paralleled the tripling of the murder rate in the US. Enabled young American black men to achieve the world's highest sustained non-combat death rate. Contributed greatly to the murder of almost 0.2% of young black men each year. Put 1.2 million black men behind bars, more than are behind bars in the entire rest of the world. Repeal or ignore the Second Amendment. Emigrate American blacks to Africa. Prohibit only American blacks from owning firearms. Our failure to take aggressive action will cost another one million American lives over the next three decades and up to 4 million in the 21st Century. The following graphs from the Bureau of Justice Statistics contain major errors which over-estimate the propensity of Whites to be criminals by more than six times because it includes Hispanics who are over-represented in jails and prisons by two fold, in the category for "whites". Hispanics, which includes Ithe most criminal class of ndians from Mexico who have not a trace of Hispanic blood, commit murder at a rate commensurate with their over-representation as inmates, so more than 80% of the murders which the BJS attributes to Whites were actually committed by them. This means the rate at which non-Hispanic Whites commit murder is less than 0.5 per 100,000 population, closer to the rate of our White cousins in England, Cyprus, Czech Republic, Poland, Denmark, and Ireland, but lower than Belgium, Austria, or Switzerland, and lower than our own national rate in 1903. It also means that black 18-24 year old men commit murder at a rate 175 times greater than White and Hispanic women, providing a keen insight into an unalterable physiological difference between races and sexes. 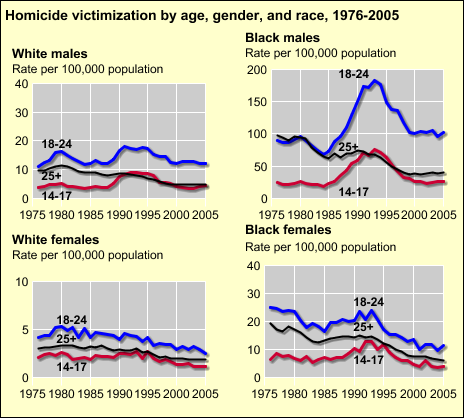 Note that there were 1,882,881 million male blacks between the ages of 18-24 in 1993, when they achieved the world's record in homicide, killing each other and lots of Whites at a RATE of 380 per 100,000 population. What this means is that 18-24 y.o. blacks, who constituted less than 0.8% of the population, managed to kill 6,650 Americans all by themselves, a quarter of all the homicides in the entire country of 256 million OTHER Americans. So it's KNOWN that 0.7% of the American population managed to kill a quarter of all the people who were killed that year, and the other 99.3% killed only three quarters. But wait! 1,171,977 black male children between the ages of 14 and 17 ALSO committed homicide at the unprecedented rate of 240 per 100k, which is another 2,813 homicides. The less than 1.2% of the population who are 14-24 year old black males are KNOWN to have killed 9,373 Americans that year--FORTY PERCENT of all 23,700 homicides in 1994 AND SIXTY ONE PERCENT OF THE HOMICIDES WHICH WERE "CLEARED"--and never made the news!! Of course we don't know for sure what percentage of the 10,390 homicides which were never "cleared" were also committed by this age group of black males--but for what reason would we believe that they didn't ALSO commit 61% of them? If so, then even this already shocking FBI graph greatly under-reperesents the ACTUAL tendency of black youths to commit homicide, and rather than 380 per 100,000, it's actually 467! Rather than 14-24 yo black males killing "only" 9,373, they killed a record 12,497--FIFTY THREE PERCENT OF ALL HOMICIDES!!! This puts South Africa and Zimbabwe to shame. They came nowhere close. There were only 7,306 murders in ALL of South Africa and 912 murders in ALL of Zimbabwe that year, yet just our blacks between the age of 14 and 24 were responsible for the deaths of almost TWICE as many "Americans". The following data for homicides cleared by the justice system shows the breakdown by race. Murders for which the perpetrator is not known are not and cannot be included on this table. It's likely that the percentage of uncleared murders committed by blacks is greater than the percentage of cleared murders committed by blacks. More than 80% and possibly close to 100% of the homicides attributed to "Whites" were actually committed by "Hispanics" who constituted 9% of our population during these years and commit homicide at the rate of 25 per 100,000 Hispanics. Taking 1986 as an example, we see that there were 6,896 White on White murders, 949 Black on White murders, 378 White on Black murders, and 6,235 Black on Black murders (for a total of 14,458 murders). "Other on other" is a very small category, so most of those in the White category included most Hispanics and Asians. With Blacks being 13% of the population and this category of Whites being the other 87%, we see that Blacks committed 49.7% of the murders and Whites committed the other 50.3%. Blacks are thus over-represented by 3.8 fold and Whites are under-represented by 1.7 fold, which means that Blacks are 6.8 times more likely to be murderers than Whites. Note that the category "White" includes all Hispanics, not just White Hispanics, who are 10-100 times more likely to commit murder than Whites in places like North Dakota and the Republic of Ireland, Asians in Singapore, and Arabs in Saudi Arabia. Source: FBI, Supplementary Homicide Reports, 1976-98.
the Data for weighting and imputation procedures used. Total murders in 1992 on this table were only 14,895, whereas there were a total of 25,203 homicides that year according to the US Census Bureau, leaving 10,218 or 40.5% of them uncleared. Of 26,103 murders in 1993, only 15,717 or 60.2% were cleared, leaving 10,388 or 39.8% uncleared. 27% or 7,046 of them are known to have been committed by non-blacks, leaving a possible 73% or 19,057 of them where Blacks were the murderers. Of these 19,057 murders, 8,677 of the murderers are known to have been blacks, and 1,393 are Whites who are known to have been murdered by Blacks. If the rate at which blacks committed the cleared murders (60% of all murders) is equivalent to the rate at which they committed the uncleared murders (40% of all murders), a minimum expectation, then there were 14,462 Black murderers who murdered 2,322 Whites and 12,140 non-Whites [mostly other Blacks]. Included in the "white" category are 22.1 million "white Hispanics" who are known to commit homicide at the rate of 25 per 100k population. They thus committed 5,525 of the 6,466 cleared White on White homicides and the 432 of the cleared White on Black homicides, leaving 1,373 homicides committed by actual Whites [capitol "W"]. This would be a homicide rate per 100k population for the 190.8 million Whites of 1.4, slightly higher their genetic brethren in Europe. If the homicides committed by Whites and Hispanics are all accounted for, which this table suggests they were, then who killed the other 4,395 Whites whose murderers were never brought to justice? If Blacks committed all of the 19,057 homicides which are known not to have been committed by non-Blacks, a real probability, then the average homicide rate for Blacks across the nation would have been 60.2. 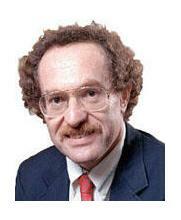 BUT, the 1996 US Statistical Abstract, Table No. 313, reports that this would have been a homicide rate *significantly* lower than St. Louis, Missouri (63.5), New Orleans (85.8), and Washington, DC (70). These cities are not 100% black. In order for them to have had such high homicide rates, blacks in those cities would have had to have committed homicide at a rate significantly higher than the average for each city. Blacks were only 47.5% of the population [Table No. 39] in St. Louis, 61.9% in New Orleans, and 65.8% in Washington, DC. D.C.: 65.8% x X + 34.2% x 2.0 = 70, X = 105.3 = homicide rate of blacks in D.C.
For what reason would we believe that the national average for blacks would be any lower for blacks in D.C, at 105.3? Or even the 137.4 in New Orleans? It's very hard for a city to hide dead bodies, so even with all the effort to conceal this mass genocide against Whites by blacks, police chiefs in these cities must eventually cough up the data. They do their best to make it appear that it's just a cultural problem across all races in their cities--but the low homicide rates in equivalent sized cities with few or no blacks belie their claims. Would it be possible that the FEDERAL government on the other hand, who tells us that only 2,000 soldiers died in Iraq so far, COULD and WOULD manipulate such data? Of course it would. IF 33 million blacks in this country actually commit homicide at the rate of 125 (the average for the above cities), THEN they ALREADY murder 41,250 Americans every year, most of them WHITES, just as Kamau Kambon demanded on NATIONAL TV. In 1994, there were a total of 23,300 homicides, of which 15,110 or 65% were cleared and 8,190 or 35% were never cleared. If the ratio by race at which homicides are not cleared is similar to the ratio at which they are cleared, then each of the following above estimates for black homicide rates must be increased 54%. It's even possible that all of the 10,218 uncleared murders were committed by blacks, in which event the number of murders commited by blacks must be increased 2.2 FOLD, from 8,192 to 18,140, making blacks responsible for almost three quarters of all murders in 1994.